Sometimes, with my four-year-old son, we try and make everyday normal situations into learning experiences. Why not do that with lunch as well? 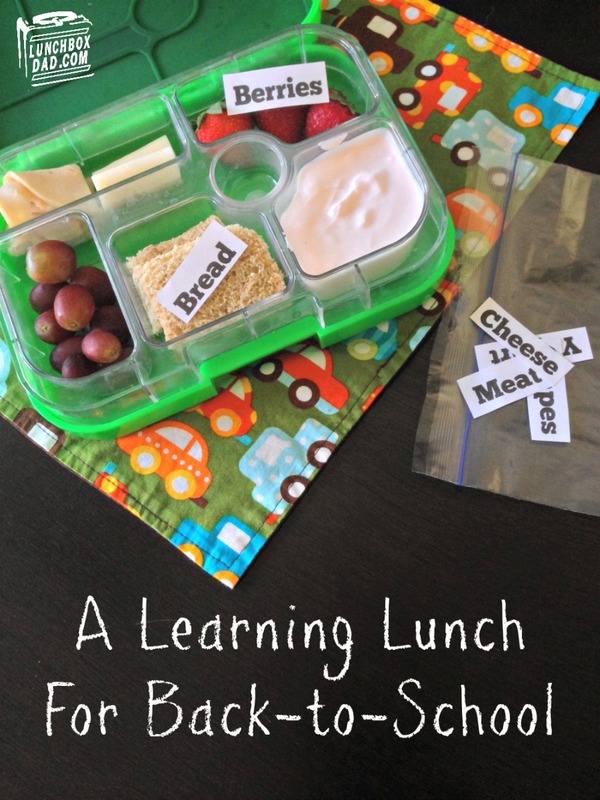 If you have younger kids in Kindergarten, or even a little older, this could be a fun lunch to make them. All you do is start with a normal, healthy, balanced, school lunch. You then either handwrite or type out labels for each of the foods you packed in the lunchbox. Put all the labels in a Ziploc® Snack Bag to keep them clean and include them in your child's lunch. The idea of the game is simple. 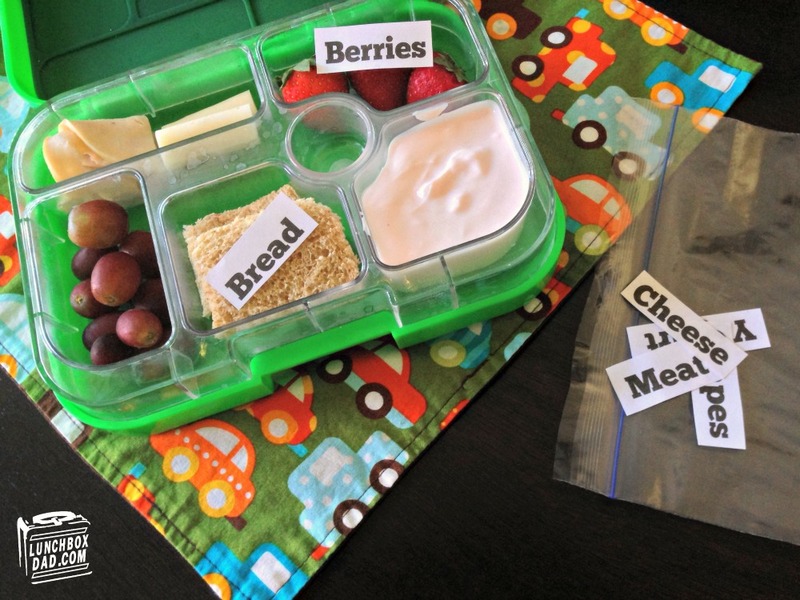 Your child learns reading and spelling by matching the labels to the food in their lunch. If you include bread, they match the whole grain slice with the label that says "bread." You might have to work with them a little on it, but I guarantee this is the tastiest learning game they will ever play! Have fun with your kids and don't forget to take time to play and learn with them. Remember to follow me on all my social media channels. My social buttons are all on the top right hand side of this page. Have a great week! Aw man, first day of pre-school tomorrow! Where can I find a bento box at this hour?! Amazing idea.